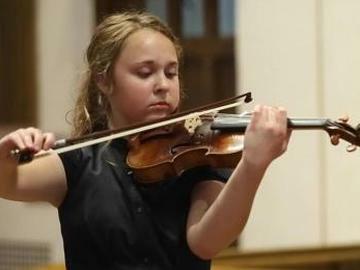 This benefit concert includes the Vivaldi Four Seasons performed by 17 year old virtuoso violinist Amelia Piscitelli. Steve Robinson, former Executive Director for 98.7WFMT will narrate the four seasons of poetry written by Vivaldi himself. Amelia was featured on WFMT's Introductions radio show. This event is in support of Camerata Chicago's Vivaldi Four Seasons Educational Recording Project. Including the poetry written by Vivaldi, the recording with Amelia is for a CD designed especially for children to learn this classic and be inspired in the riches of classical music.